Cushioned by soft, deluxe fabrics, your baby will love spending time in this thoughtfully-designed bouncer. 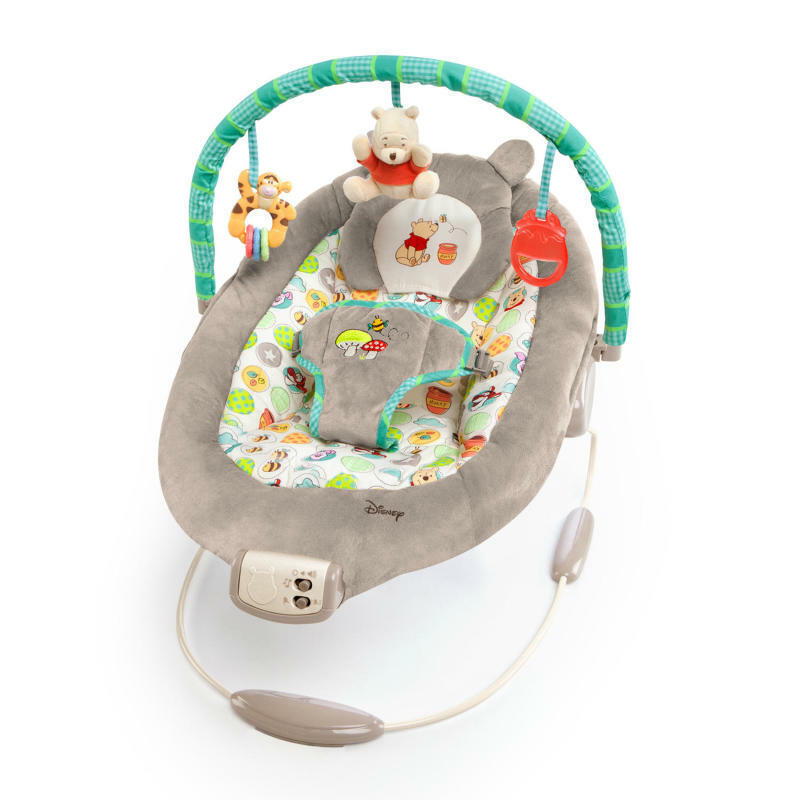 The Disney Baby Winnie The Pooh Dots & Hunny Pots Bouncer™ features a removable infant headrest for extra support, vibration and seven fun melodies. The toy bar keeps babies amused with a hunny pot toy, Winnie The Pooh plush and Tigger bead chaser - perfect for your little hunny bear! Dimension (in) 19" x 23" x 23"